The evening will be at the Old Mill pub, just 200 or so yards from the original Plumstead Common location that the club first played – and it being a pub will be nice to have a chat amongst Gooners with a pint or whatever is your fancy. 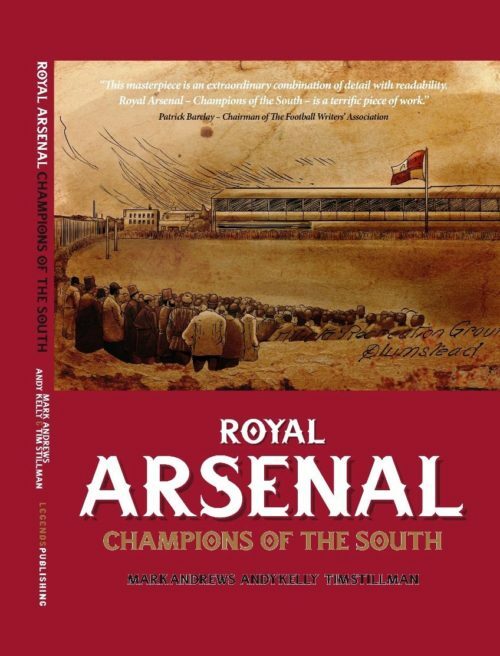 A presentation and talk about the founding years and pivotal events will be given by Andy Kelly, which will aim to encapsulate the football lives of the founders, players, administrators and supporters in the birth place of the Arsenal Football Club. It will also encompass a discussion about the club up to the time they made the momentous move to Highbury. For some pre-reading on Plumstead try our blog article – Arsenal Plumstead Landmarks – which details the important places in the area relating to the club. 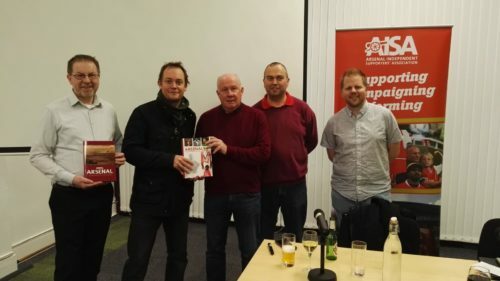 Liam Brady and the authors at a recent AISA event celebrating Liams’ career and the Arsenalhistory.